Sparking green and white accents. Clean design. Long lasting. The perfect urban holiday decor item. 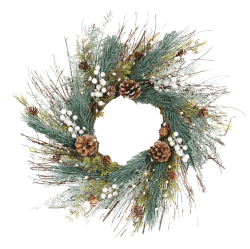 This beautifully styled artificial Christmas wreath will brighten your holidays year after year.